The Connecticut government has been at odds over how gaming activities are to be expanded in a few parts of the state. This comes from how many options for expanding gaming in the state have been discussed. These include efforts to make such activities more prevalent in existing centers in New Haven, Waterbury and Bridgeport while also working on getting a new casino up and running in East Windsor. The Mohegan and Mashantucket Pequot tribes have both been trying to get the rights to build a new casino in East Windsor up and running. This has especially been made as a potential effort to compete against the plans that MGM Resorts International has been using to get their own casino open in Springfield, Massachusetts. That casino is still under construction with the general effort being to get the location to open in 2018. The state Senate passed a bill that would allow a casino to open in East Windsor. This would be a partnership between the two tribes that had been mentioned earlier as it is being built. Even with this, it is doubtful that the bill would actually be heard as a special session would have to be scheduled in order to get the bill to actually be heard at some point. There is especially a real concern over whether or not there are to be enough votes for the bill to be passed to allow the bill to expand and work as desired. 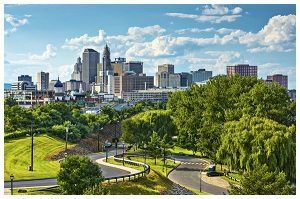 Some of the added plans being promoted in the Connecticut efforts in gambling are being used to expand many gambling functions in the state. A two-vote strategy is being planned at this juncture. In addition to the East Windsor plan, a second part would be included to expand some gaming efforts with a $25 million licensing fee being included as a critical part of what is being offered. The plans would be to get more money out to the government although it would be a challenge to figure out who may support such plans. There is especially a plan to try and get slot machines to be included in the package. These include ones to be offered at off-track betting facilities all around the state. Waterbury and Hartford are being considered as places where these would be offered. Existing spaces in New Haven and Bridgeport would be included in the program. There have been some worries over whether or not the economic climate within the region would actually be suitable or appropriate for certain efforts. The greatest worry involves concerns over whether or not there is a possibility for the gambling bill to be heard properly. This especially comes amid worries about the legislative session coming to an end very soon. As the session is about to end, there is a real worry that new gaming efforts might be stalled, thus making it harder for certain functions to be supported. As a result, there is a potential that some issues might come about due to worries over how the industry is to run.